Imagine technology that could preemptively find disease in plants, allowing growers to address it proactively. Or sensors that could help irrigate more resourcefully. Or robots that could selectively harvest ripe crops. At Vineland Research and Innovation Centre in Niagara, it seems as though the future is now. Vineland’s Robotics & Automation team — comprised of 5 PhDs and 6 engineers who work closely with a biology team — is currently working on a wide spectrum of projects that will improve a number of efficiencies in the greenhouse, possibly changing the way we think of greenhouse growing and packaging. 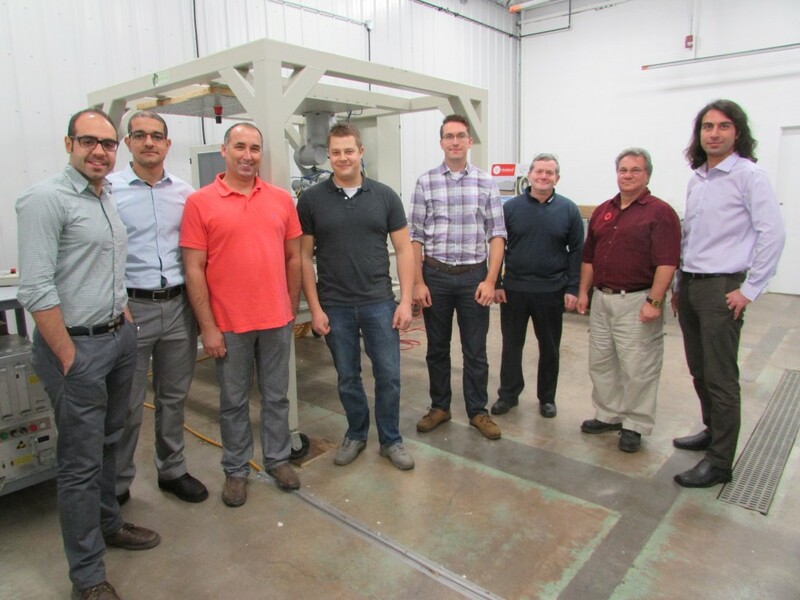 We recently spoke with Dr. Gideon Avigad, Research Program Leader of Robotics & Automation at Vineland, about what his innovative team has been working on for the past half year or so. Robotics and automation both entail a variety of projects at Vineland, and though diverse in nature and complexity, they’re all in the name of increasing yield and/or reducing costly resources, thus increasing revenue. With improved results and increased profits for growers, benefits will ultimately pass on to consumers. It’s all about finding cost-effective solutions, explains Dr. Avigad. One of the projects using automation for improved efficiency is the automatic packaging of cucumbers, tomatoes and potted plants. Automation provides better consistency, with a system that can monitor inconsistencies and act accordingly. These are repetitive, simpler tasks, working in large quantities. 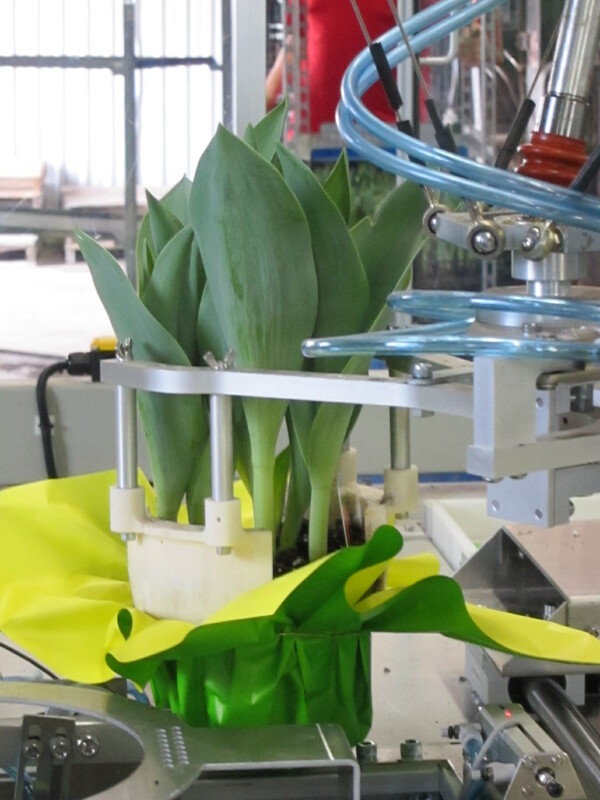 Vineland’s several packaging projects are expected to be in commercialization later this year – the automatic packaging of potted plants is almost ready, in its pre-commercialization stage. The impact of the automation projects specifically focuses on reducing labour; these are engineering projects that automate labour-intensive work. Robotics, however, are much more sophisticated projects, which require a higher level of intelligence from the systems. In particular, the team at Vineland is working on a mushroom harvester. These robots need to find the right mushrooms among clusters, and know when and how to pick them (delicately): this requires a high level of intelligence, as the robot has to make the “right decisions”. These decisions are made using artificial vision systems that capture data, which is then analyzed. But the mushroom harvester isn’t the only high-tech project in the hands of these Vineland innovators. They are also working on a disease-detection project. Cameras that can see wavelengths that aren’t visible to the human eye detect diseases, allowing growers to act before the disease has manifested itself. Dr. Avigad estimates that approximately 10-15% of yield in greenhouse vegetables is lost due to disease, resulting in a large amount of lost revenue. A system to detect disease before it’s too late can help growers proactively increase their yield, by identifying health issues and removing those plants (which also decreases the amount of pesticide needed). The Vineland team is also working on an irrigation project, using sensors that scan the canopy to monitor when the plants are in stress before they wilt. Once again, robotics are making intelligent ‘decisions’, analyzing data to know when and how to irrigate – saving money, water and energy. These innovative solutions are found through a very collaborative process. Dr. Avigad explains that engineers are invigorated by technology, but don’t have the mind of a biologist, so it’s important they work closely with the biology team, as well as with the growers themselves. “At the end of the day, we’re designing these for the customers… and the growers are helping us to define the problem so we can find the right solution,” shared Dr. Avigad. He is also sure to note that they’ve received plenty of support from industry and other companies to help leverage their capabilities. Dr. Avigad says that although it is a work in progress, they are on the right path to finding these cost-effective solutions. Automation projects are in the pipeline for 2016, with the more complex robotic innovations to follow in the near future, possibly 2017.